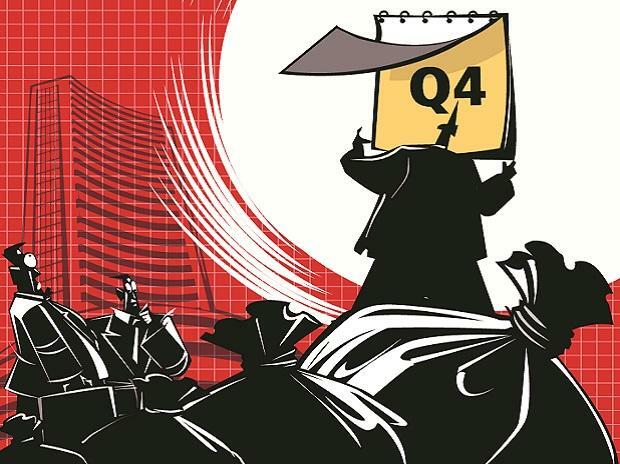 The revenue growth in the fourth quarter is likely to taper to just about 8 per cent on weak economic cues globally as well as relatively higher prices of crude oil. To understand the Q4 results, one must first understand how the broad macros for FY2019 will pan out as that will set the tone for the quarterly results. The real GDP growth is expected to be in the range of 7.1-7.2 per cent for the full year, with the fourth quarter growth being relatively lower. While average inflation at around 3.6 per cent will be positive and under the RBI benchmark of 4 per cent, the Current Account Deficit (CAD) at 2.6 per cent is likely to be a matter of concern. At the time, the Indian corporates must contend with oil at close to $70/bbl and the rupee at 70/$. It is these macros that are going to play on the Q4 results at a primary level even as other industry-specific factors will eventually take precedence. In the first three quarters of the current fiscal year, the revenues grew by about 15 per cent, on an average. However, the revenue growth in the fourth quarter is likely to taper to just about 8 per cent on weak economic cues globally as well as relatively higher prices of crude oil. At the same time, other commodities like steel, aluminium, copper, and petrochemicals have shown a sharp price correction and that is likely to impact most of the commodity-intensive sectors. Incidentally, these sectors happen to carry substantial weight and heft in the market indices. Let us now look at the profitability growth in the fourth quarter. However, most of the consumer-driven sectors like FMCG, consumer durables, NBFCs, and even private banks are likely to see growth in the top line that will be closer to their historical averages. How would this impact profitability in the fourth quarter? The operating profit margin (OPM) is, perhaps, the best barometer of how profitable the core businesses are. The good news is that the lower input costs in the form of weak commodity prices are likely to be positive for the OPMs of Indian companies in the fourth quarter. If one were to look at the average OPM of Indian non-financial companies in the first 3 quarters, the OPM was at around 18.7 per cent on an average. For the fourth quarter, the set of non-financial companies is likely to maintain OPMs in the range of 18.5 per cent-18.7 per cent. The sharp fall in commodity prices should be positive for user industries like power, paints, consumer goods, capital goods etc. If you leave out the volatility of the rupee in the third quarter of this fiscal, then the rupee has actually weakened by nearly 10 per cent on a YOY basis. How will specific sectors react in the fourth quarter? Autos are likely to see some benefit on input costs due to lower commodity prices but the sector is still facing top line pressures due to weak demand for consumer durables and also weak financing scenario. The scenario in the fourth quarter has been quite acute with many auto companies being forced to shut down plants to sync with weak demand. This is likely to show up in the form of a weak fourth quarter. Material companies are likely to be under pressure due to weak prices of most industrial metals like steel, copper, and aluminium. Most of these companies have been under pressure in the fourth quarter due to weak Chinese demand. That is likely to put pressure in the fourth quarter. PSU banks may have a slightly weaker quarter since the expected inflows from NCLT resolutions did not materialise in case of large stressed assets like Essar Steel, Bhushan Power, and Alok Industries etc. Additionally, these banks will also have to make provisions for these assets at nearly 100 per cent which could see further pressure on PSU banks. FMCG companies could see top line and bottom line growth sustaining in the fourth quarter on the back of robust rural and urban demand. The latest CSFB survey has also ranked Indian consumer stocks on top in the whole of Asia and the lower input costs should be added kicker. Finally, the private banks may see a sharper divergence in performance between the higher asset quality banks and the lower asset quality banks. The latest RBI rules on reporting of asset divergences may also put further pressure on the private banks, especially in cases where the asset quality has been suspect. In short, the top line compression could be the big story of the fourth quarter, even as lower input prices are likely to help the OPMs sustain. Disclaimer: The above opinion is that of Mr. Mayuresh Joshi (Portfolio Manager, Angel Broking) & is for reference only.